Is there a security update for the Intel ME firmware for my Razer Blade Pro 17” (2017)? My 2017 Razer Blade Pro is experiencing display instabilities when G-SYNC is enabled. The display will flicker at times. You can download v382.33 using this link. Should you have any difficulties using the current driver please contact the Razer Support Team. How do I overclock the processor on my Razer Blade Pro? Open up the Razer Synapse software and select “POWER”. Under “PERFORMANCE CONTROL”, choose “Performance Optimized” and the system will automatically overclock the laptop for you. This feature is only available on the 2017 Razer Blade Pro with the Intel Core i7-7820HK processor. If you do not have Razer Synapse installed, please download it here. What does it mean that the New Razer Blade Pro is THX Mobile Certified? How do I enable/disable NVIDIA G-SYNC? Right-click the desktop and select “NVIDIA Control Panel”. Under “Display” select “Set up G-SYNC”. From here you can choose to enable or disable G-SYNC. Can I remove the keycaps on the Razer Blade Pro’s mechanical keyboard? No, the keycaps cannot be removed. 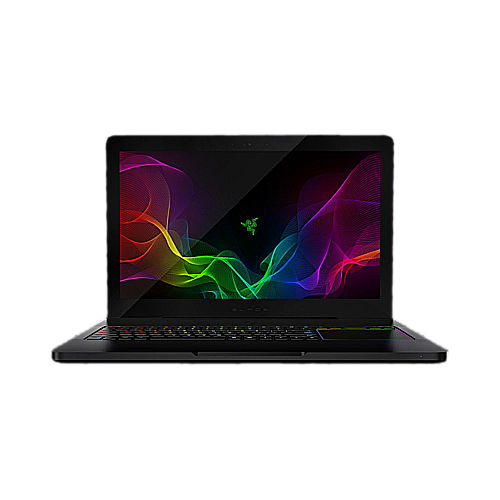 Does the Razer Blade Pro support the Razer Core? No, it does not officially support Razer Core at this time. No, the HDMI port can only support one external display. You can also use the Thunderbolt 3 USB-C connection for display output. This may require additional cables or hardware (not included). How do I adjust my fan settings? Open up the Razer Synapse software and select “POWER”. Under “FAN CONTROL” choose your desired fan settings and the system will automatically adjust the fans for you. Where can I purchase additional AC adapters for my Razer Blade Pro? You can purchase the 250W power adapter for the Razer Blade Pro here. 2. Press “Windows + S” keys and type “lpksetup”. Razer has authorized repair centers in every region where the Blade is currently sold. To set up a repair at one of our repair centers please contact our support team at www.razersupport.com/email. Our support team will be happy to give you a rough estimate of the repair costs, but final costs cannot be determined until the unit is physically inspected at the repair center. Only authorized Razer Repair Centers will have the parts and specialized training required to repair your Razer Blade. The warranty length for the Razer Blade Pro 2017 is 1 year. Please see full details for warranty lengths: here. Can the Razer Blade Pro be used as a second display for my PC/XBOX/PS3, Etc.? No, the HDMI port is ONLY intended for "Video and Audio Out." Can I upgrade my NVIDIA GeForce GTX1080 with a later NVIDIA or AMD graphics module? The Razer Blade features a custom GTX1080 design that is integrated into the motherboard and does not utilize a removable MXM module. Because of this unique design, upgrades are not available. Most modems have an indicator that shows if it is connected to the Internet. Check your modem for that indicator. If your modem does indicate that you are connected to the Internet, try restarting your modem. If you're still having issues, please contact your local Internet provider to ensure that the connection is stable. If you still have problems connecting, please contact Razer Blade Technical Support. When my Razer Blade Pro comes out of the sleep or standby mode, the trackpad does not work. How can I fix this? If you were unable to troubleshoot and resolve any issues you are having with the knowledge base (FAQ) and you feel your product is still defective, please don’t hesitate to contact us here or call 1-855-872-5233. Drivers are installed onto your computer and allow your computer to communicate with your Razer product. Firmware updates are hardware level code to install directly onto the Razer device that can update, fix, or change the functionality of the product.